A case in point. A client of mine has a national sales role. In 2010, prior to her taking on the role the sales team failed to achieve their prescribed 2010 targets. In 2011 they just achieved their prescribed targets. Celebrations followed. The ‘cat‘ was patted. In 2012 they just missed their prescribed targets after having been ahead of them for most of the year. What do you think is happening now? Yes, you guessed it, the ‘cat‘ is being ‘kicked‘. Apparently in ‘Organisation Land’ kicking the cat inspires the cat to higher performance. What do you think? Let me just walk through that logic again. Once the team regularly achieve budgets that they had no input in creating, that’s when they will be trusted to put forward budgets in the future. Oh, by the way I should mention that I’m not talking about junior staff here. I’m talking about staff with a minimum of seven years experience. There’s a lesson in how to de-motivate people right there! Folks, growth doesn’t happen in straight lines, not in the short term that’s for sure. Linear growth expectations are flawed and ultimately cause senior managers to do ‘kick the cat‘ type behaviours. You know what’s going to happen, don’t you? This high performer will leave and will end up serving another organisation more worthy of her commitment. ‘Kicking the cat‘ doesn’t work so if you’re one of the guilty ones who does this behaviour, stop! Treat your people like human beings – you may just be surprised by how well they shine. If targets aren’t achieved by experienced, engaged people, then sit down with them and work together to work out what can be done. Maybe achieving the 2012 target in 2013 would be, in reality, a success. Just giving people bigger numbers to achieve because it is a new budget cycle is seriously flawed and lacks using the knowledge, talent and expertise that exists within organisational teams. People don’t want to fail. People don’t try to fail. Not most people. Work with people so success over the long term can be achieved. It is possible. 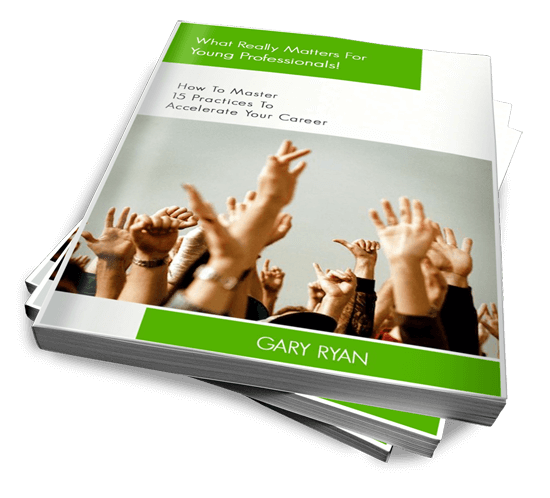 “Gary, I found it interesting that many staff struggled at first to tell me what they really thought. They would say, ‘You’re not going to like what I have to say so I’m not sure if I should say it’. Each time they said this to me I told them that I needed to hear what they had to say. They would then tell me that they weren’t sure they had the right words to use. So I told them to use whatever words they had and that if, at the end of them speaking I didn’t understand what they had just said, I would ask questions. Slowly, they started to tell me what they thought. And today I heard things that were different from what my senior management colleagues are telling me. So I have some work to do. And it’s good work!“. These words came from the most senior Australian Executive for a European based company for whom I recently facilitated an OTM Strategic Conversation®. The conversation was about success. Comments such as the ones above are common. Think about it. How often do senior leaders have strategic conversations with staff who are three, four, five or more levels away from them? Virtually never. If these folk ever do have a conversation it is over a cup of coffee after the senior leader has just provided a one way update to a large group of staff. Such conversations are unfocused and polite – most people don’t say what they really think because the context doesn’t encourage it. You’re the boss and you have power over me. If I tell what I really think I risk bad things happening to me. So it is best to keep quiet. Truth to Power is a concept identified by Warren Bennis, Daniel Goleman and Jim O’Toole in their book ‘Transparency‘. Organisational values such as Openness, Integrity and Service Excellence are supported by having a high level of Truth to Power. In its simplest form, Truth to Power means that the right information gets to the right person at the right time for the right reason. The challenge, according to the research conducted by Bennis, Goleman and O’Toole is that the vast majority of workers do not trust senior leaders, so they keep their information to themselves. Part of the reason for low trust stems from the power differentials between people lower in an organisational hierarchy and people higher in an organisational hierarchy. It is natural for people to be wary of people who exert power over them. After all, these people can make decisions that can make their lives more difficult. This creates a dilemma for organisational leaders. The reality is, most staff don’t trust them even if they don’t know them. Their title, role and power generate the distrust. Yet the leaders would see themselves as trustworthy. 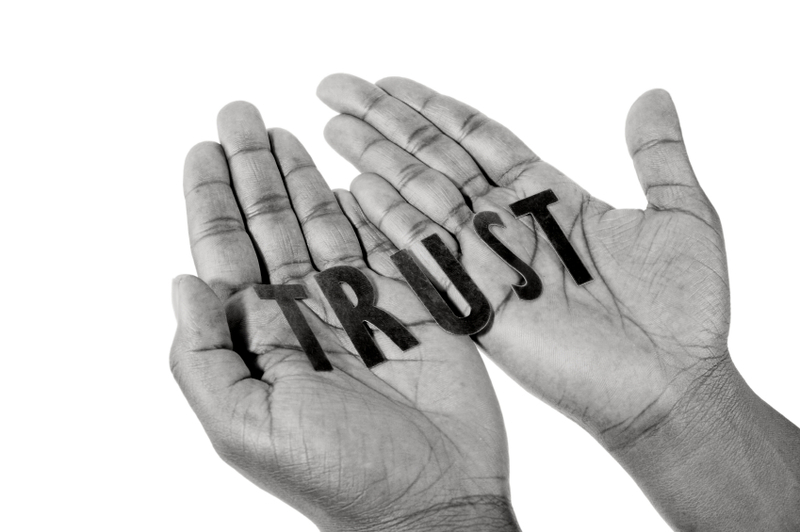 You’ve heard the saying, trust must be gained – it isn’t just given. One way to gain that trust is to have regular, focused conversations with employees. Leaders need to engage in Conversations That Matter® with their people. Not just their direct reports and other senior leaders. They need to engage in strategic conversations with everyone. But leaders are busy. Exceptionally busy. How can they engage in regular strategic conversations when there are so many people to speak with? Once again, their is a solution to this dilemma. OTM Strategic Conversations® enable large groups of people to have focused conversations on issues that matter to them. Instead of a random and polite conversation over a coffee after a speech provided by a senior leader, imagine sitting down with three or four people talking about the challenges that the organisation is facing in creating the success it desires. Success, by the way, that was just defined by the large group of employees present. Imagine if this same conversation was being repeated at 10, 20, 30 other tables at the same time. Imagine the energy in the room. Imagine this whole process being completed within three to four hours. Imagine, as a senior leader the genuine rapport that you could build with people multiple levels away from you. Imagine the trust that you could build. What if participating in OTM Strategic Conversations® became a regular and strategic tool for your organisation? Bennis, Goleman and O’Toole identify that organisations that are high in Truth to Power are also high performing organisations. This means that there is a bottom line benefit for raising the level of Truth to Power in your organisation. Strategic conversations enhance performance. Strategic conversations enhance trust. Strategic conversations enhance Truth to Power. The internal business intelligence that my client above discovered through his first experience of an OTM Strategic Conversation was priceless. He told me himself. His organisation has customer and staff morale problems that he hadn’t fully appreciated largely because he had been receiving a consistent senior management perspective on the issues. In other words, he had only been hearing part of the story. How do you maintain Truth to Power in your organisation? Gary Ryan is the Founder of Organisations That Matter and has been hosting OTM Strategic Conversations since the year 2000.